Hard work and determination have guided Sukham Ongbi Kiranbala to success. Her Poirei Foods is not only prospering and earning good dividends, but also giving employment to many unemployed persons. Hailing from Kyamgei Khoirom Leikai, Kiranbala has been able to be self dependent through her Poirei Foods, which deals in the manufacture and sale of pickle items made offish, chicken, bamboo shoot, mushroom, garlic, mango, lemon, mixed fruit, Heining, pineapple, sour apple, gooseberry, plum, sour apple salty, olive, Heimang, Ngari (fermented fish), Hawaijar, U-Morok (big chilly), green chilly, beef and pork and candy items made of Heitup, Heining, Heikru Athumba, Heikru Akangba, sweet mango and Mange Bonare etc. 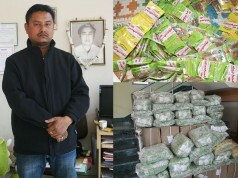 Various items of pickles and candies manufactured by Poirei Foods are available in almost all the markets of Manipur. 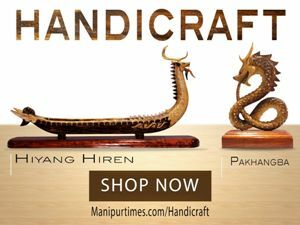 These products even sometimes reach Guwahati and Moreh. The price of Kiranbala’s pickle items ranges from Rs60 to Rs180 while price of candy items ranges from Rs10 to Rs30. 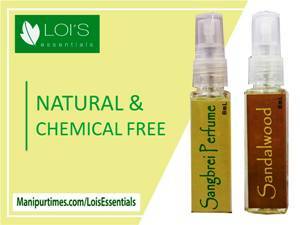 M/s Kanglei Agro Business Services, M/s Iramdam Marketing, Safi Keithel and Hingminnasi are the authorised marketers of Poirei Foods. 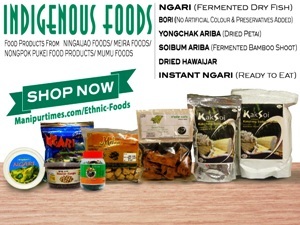 The products of Poirei Foods can now occupy quite a good space in the market and have been appreciated by many consumers whoever has tasted it. 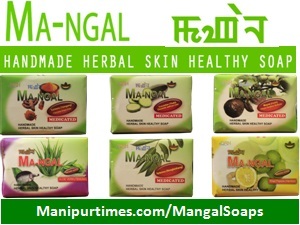 “Presently, my firm sells food products of worth around Rs3 lakhs monthly on an average. 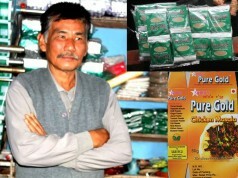 The various food items prepared under the brand Poirei Foods receive good demand from the people for its unique taste and flavour”, claimed, Sukham Kiranbala, proprietor of Poirei Foods. 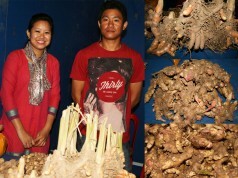 33-year-old Kiranbala is the wife of Sukham Chandrakumar hailing from Kyamgei Khoirom in Imphal East district. She started her venture on fruit processing industry in the year 1999. She participated in a fruit processing training course organised by the District Industries Centre (DIC), Imphal East at the fruit processing training hall located at Porompat. 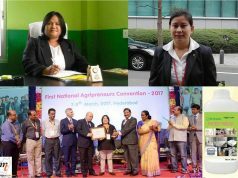 She also took part in the one month long training course on fruit processing organised by SISI, Imphal. 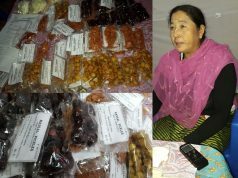 All these training courses on fruit processing inspired her so much that she decided to launch a food industry of her own to prepare various fruit candies and pickles using the raw fruits locally available aplenty in the state. 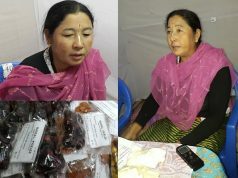 Kiranbala gives her credit to one OjaTonjao of Manipur Chapter for guiding her in the successful journey food industry. 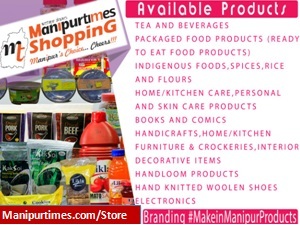 “Basically, the brain behind Poirei Foods is the present MLA Karam Thamarjit. 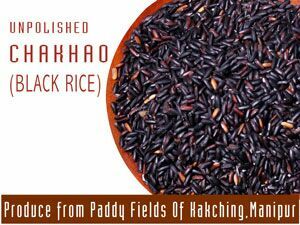 Before he involved into politics, he helped us a lot to start the venture on this food industry. Credit of Poirei Foods goes to him”, said Kiranbala. At least 20 locals are being provided jobs by the Poirei Foods to assist her in the activities such as preparation of the fruits for making candy and pickles and packaging. The workers are paid wages as per their performance, she said while expressing her satisfaction on providing jobs to some people. Kiranbala completed graduation from Ideal Girls’ College, Akampat, Imphal in Home Science. After graduation, she got married with Sukham Chandrakumar in 2010 and has now two sons. “Initially, I supported my family with the small income earned from weaving. The earning of both my husband and mine was not sufficient enough to manage the family. We experienced the most hardships of life that even our earning could not afford medical expenses when the children got sick. At last, I thought of making fruit pickles and candies using the raw fruits locally available here with the hope of earning good profit. Varieties of fruits were collected from the fruit farmers, and I began preparing pickles and fruit candies. Initially, fruit pickles and candies were distributed at local shops at Rs5 per packet by riding a bicycle. With customers’ demand increasing day by day, the price of the fruit packets were then increased and packaging model too got modified. 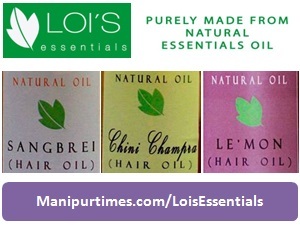 The success story of my business is the outcome of great travailing and perseverance”, she recalled. She is now not only able to maintain her family with the income earned from selling her items, but also providing jobs to some unemployed woman of her locality. 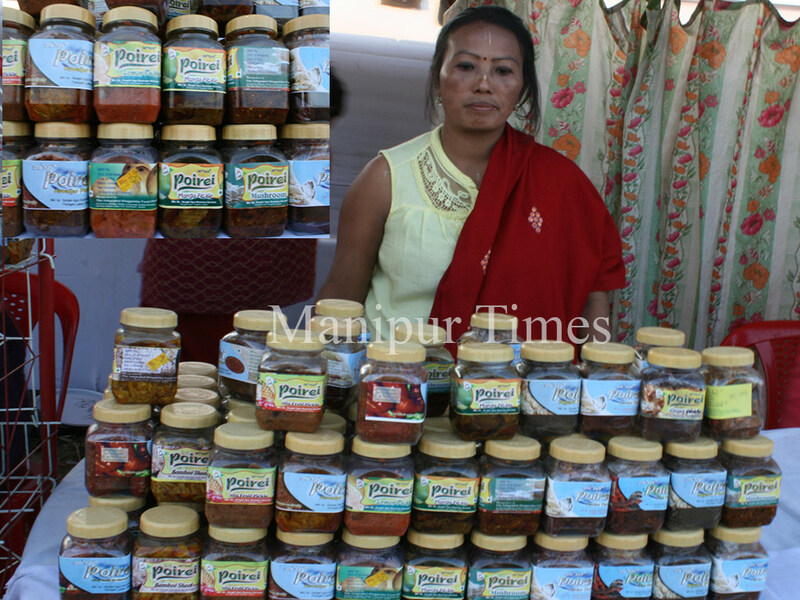 The fruit products of Poirei Foods was displayed not only at various fairs (Mela) held at different states but also at Manipur Sangai Festival and Saras Fair. He could make good sales of her products in these fairs. 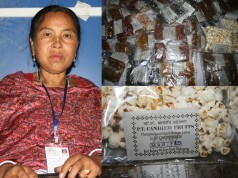 She said without any financial assistance from the Government, she started her venture on food industry. Even her husband did not support her when she set out for her venture on making various items of fruit pickles and candies thinking that her business would be profitless. Many suggestions and comments were also sought from the food experts on the feasibility to start her food processing business. In course of time, her business started growing with good public feedbacks. By inducting more woman workers, she is running her business with the support from all the family members including her husband. “I am making all out efforts to promote Poirei Foods brand one of the best in the state using modern technological know-how and inputs. However, my plan is delayed due to financial constraint. 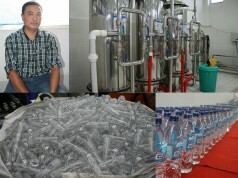 If some financial assistance is received from the Government, my industry can be expanded. It can also provide jobs to more people”, she added. Great idea!! May God bless!!! 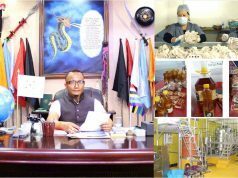 Khara hauhasi …quality leihasida…..yamna phai Manipur su heire haina haihalasi…atopa company dagi Helge hairadi …kari…tauni khangbara…..
Excellent… ! Very good..Inbox me I will develop a website to sell world wide. It will help to generate more revenue. Thabak suningdaba nakhoi namaido Khara ekaiyo…Thabakti suningdabanina taouriba mayamdo khara lepo khangthusana saribasing, akalathou saribasing do ejat leina thabak suraga hingba tammo adu oiradee problem karisu leiroi manipurda. Good product, but once I brought one from d market end up with a complete waste, can’t keep too long. Was it the same product or have you lept it open .? Yep same product, I Remember, brought it during Shanghai festival, kept it in d freeze, dunno how it went wrong. Thanks. For promoting this lady entrepreneur. She is very hard working we man.in my locality.